At Avon Center Dentistry your satisfaction is our number one priority. We are committed to providing an extremely high level of care in a setting that is open, friendly, and understanding. 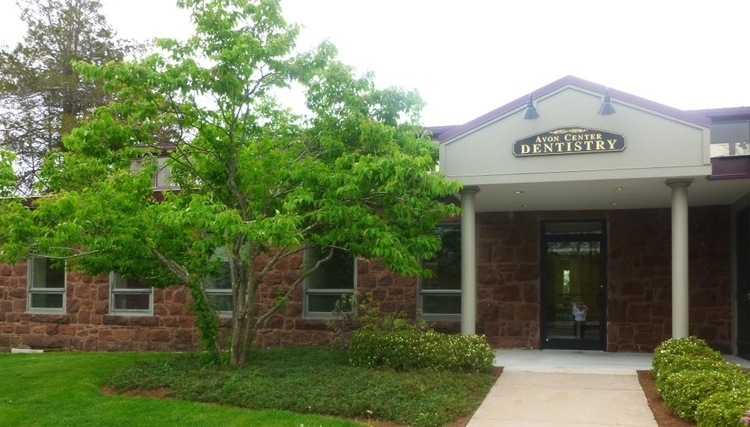 Dentist James Bussiere's Avon practice serves patients in Canton, Farmington, Simsbury, West Harford, and surrounding areas. To learn more about our available services and schedule a consultation, contact our office today. Our tight-knit staff has been working together for 15 years to foster a cooperative environment that places an emphasis on patient-centric care. We provide care for patients of all ages and recognize the importance of establishing oral health habits in our younger patients. We have a passion for optimizing both the health and aesthetic appeal of our patients' smiles. A healthy mouth starts with a strong foundation. Our general dentistry services include cleanings and preventive care that focus on improving and preserving the general health of the teeth and gums. During regular examinations, Dr. Bussiere can also screen for early signs of oral cancer and other conditions like temporomandibular joint (TMJ) disorder. Preventive care helps to minimize the risk of our patients developing major dental problems. However, when oral health issues do occur, we implement the latest technologies to provide patients with safe, effective treatment. Restorative services are available to strengthen and protect damaged teeth, and replace missing teeth. These include dental crowns and bridges, dental implants, and gum treatments. For especially complex cases, we offer full mouth rehabilitation, a comprehensive treatment plan that can be individualized to meet each patient's unique concerns. Our goal is to create smiles that are not only healthy, but also inspire confidence in our patients. Our range of cosmetic dentistry procedures, including teeth whitening, porcelain veneers, and Invisalign®, can help you achieve a bright, attractive smile. We understand trips to the dentist can create feelings of anxiety. By taking appropriate measures to minimize stress, we ensure your visit will be comfortable and relaxing from start to finish. Televisions: Find a welcome distraction during treatment by tuning in to your favorite show or movie. Satellite radio: Close your eyes and immerse yourself in your choice of soothing music. Heated massaging chairs: Melt into our exam chairs with a combination of heat and massage. Whether you are visiting our office for a routine dental cleaning or a more complex dental procedure, you can rest assured our highly-trained staff will make your comfort an unwavering priority. Our team has years of experience helping our patients look and feel their best. It's never too late to restore a healthy, beautiful smile that will boost your confidence every time you look in the mirror. To learn more about our available services or schedule an appointment, contact Avon Center Dentistry today. We look forward to meeting with you!